Davie Locksmith provides top-class locksmith services for large corporate, small businesses, industrial needs, retail shops and stores. It is our high-quality and most sophisticated locksmith products that offer top-notch security to your corporation and businesses.Our locksmith servicesare available in Davie and across the Broward County. Thanks to our fast, reliable and expert locksmith technicians who has been providing complete peace of mind to all customers. We take pride of our steadfast commercial locksmith services that are designed suiting your commercial and industrial needs. Well-equipped with proficient commercial security specialists and locksmiths, Davie Locksmith has the finest security solutions right at your doors. From commercial door installation and repair to up gradation of security settings, our experts as ready to provide you the best possible solutions. Our forte is none other than the highly efficient locksmiths who provide unsurpassed customer service. When we have huge fleet of A-class locksmiths and state-of-the-art tools, then why would you look for someone else? Each of our locksmiths is professionally trained and you can expect to get the finest solutions from our end. We use the latest and high quality techniques to find solution to your problems. We are in fact committed to provide our customers with high standard workmanship. In addition to providing lockout services and rekeying your locks, Davie Locksmith also provides master key system with different levels of key control. Each of our commercial locksmith services are designed as per your business or industrial security needs. As our concern is your peace of mind and security. Why Choose Us For All Your Commercial/Industrial Locksmith Needs? 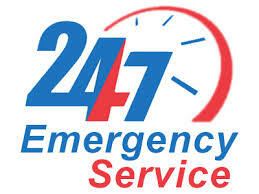 We are the one stop solution for Missing, Lost, Broken and Jammed keys in Davie and the Broward County. We believe that in this fast-paced world, locksmiths are a magician who opens any security and breakthrough systems. If you want such a magician then Locksmith Davie can be your ideal choice. As soon as you reach us, find our expert technician reaching your place with his instrument kit within 20-30 minutes. Don’t worry, our experts carry all the latest equipment’s and are capable to work through any commercial security system. They perform the entire operation without causing any damage to your property. Our company has been serving your commercial, emergency Locksmith, residential Locksmith and Automotive Locksmith needs for over 10 years all through the Greater Toronto Area. Choosing us will never let you down as our locksmiths are sincere and genuinely care about your needs. We pride ourselves for offering excellent commercial locksmith services across the Broward County including Davie Locksmith, Fort Lauderdale Locksmith, Plantation locksmith, Cooper City locksmith, Miami locksmith, Hollywood locksmith, Pompano Beach locksmith and so on. We are right by your side to give you peace of mind. So CALL US NOW at 954-507-0633.